After the 2-0 defeat against Arsenal in London last Thursday, Napoli will return to Serie A action against Chievo hoping to regain some confidence after the last and unstable performances. The club is one of the most well-supported around the world and the English capital has become home to the thriving Napoli Club London, where many Azzurri fans decided to live and share their Partenopei passion together. Founded in 2009, the idea for the Napoli Fans Club London came from a supporter who, after a Napoli friendly in London, decided to bring fans together to follow the Neapolitan outfit. “The idea was born 10 years ago after the friendly match against West Ham in Upton Park stadium,” said club founder Marco. “Thanks to the social media too, I built up a big community of fans and decided to follow our team altogether at Italia Uno coffee house [in Fitzrovia, Central London]. 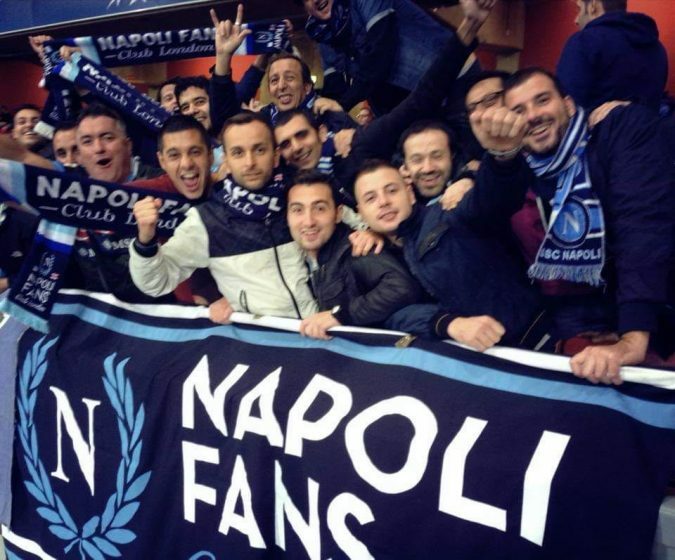 The supporters’ group, who gathered many followers on social media, organise different activities away from matches and always follow Napoli when they are in England. “Outside the game, we usually meet for having a pizza together. Unfortunately, it is not very easy to organise five-a-side football games due to the big distance that London reserves,” Marco continued. “We’ve followed the team in England most of the times [they’ve been here]. The club has also great connections with other Napoli groups around the world and have shared their passion in different stadiums in Italy and in the UK. “I love to remember when we attended our first Napoli Champions League match away in 2011 against Manchester City or when we won our first trophy after 25 years [Coppa Italia] in Rome against Juventus in 2012. “While also in the friendly game in Bournemouth, we met both the players and our former coach Maurizio Sarri, an open and frank person. It was a wonderful experience. The fanbase is confident the team can progress its path in Europe and are satisfied with the season under their new manager Carlo Ancelotti. “The season is still positive. 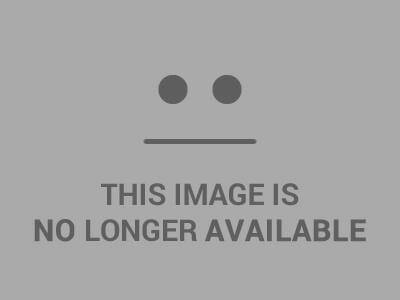 We have now the chance to play the Europa League. The game against the Arsenal will be like a final,” Marco concluded. 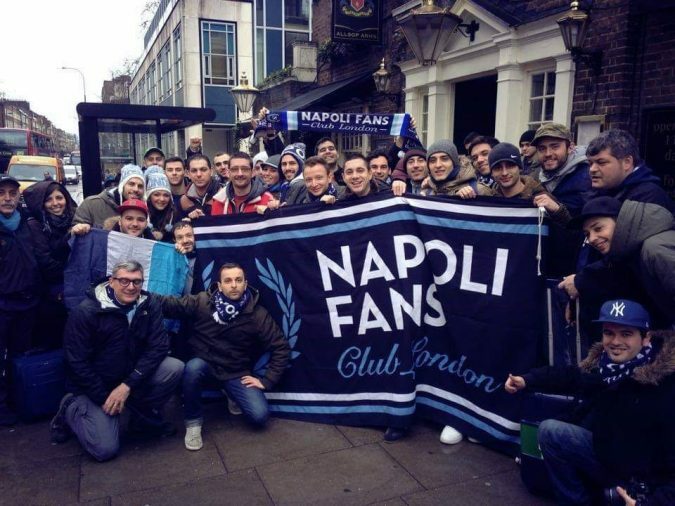 Napoli Fans Club London can be reached on Facebook, Twitter and on their website.